It’s time for another round of Presidential competition! This round is stacked with some popular names, including our very first president. 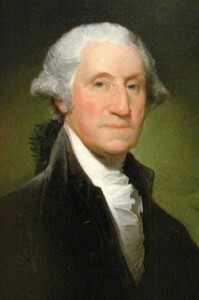 Why not begin with the first-born president, George Washington, born February 22, 1732. 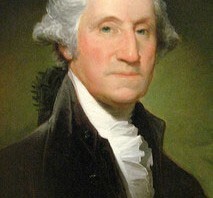 Washington’s talent is hard to deny when you consider he was the first President of the United States elected in 1788, the unanimous choice of the 69 electors. He was a farmer, military leader and surveyor. Washington had quite the talent for agricultural innovation. He liked to keep busy, as he was involved in livestock breeding, commercial fishing, a distillery, (quite the entrepreneur) and gristmill. Even with his many talents and accomplishments, he was quite the humble leader. Congress had to talk George into accepting his salary for presidency. 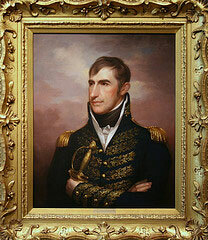 Next on our list is William Henry Harrison, our ninth president and one of the oldest men to take office. Although he served the shortest tenure in U.S. presidential history (32 days! ), he still accomplished quite a lot as a major general, congressman, senator and governor. He is most famed for leading U.S forces at the Battle of Tippacanoe, by which he was nicknamed. When he wasn’t busy climbing the career ladder, Harrison was quite the family man. He and his wife had 10 children. No doubt he deserves his revered title as national hero! Fast forward about a century and we find President Ronald Reagan-born February 6, 1911. Ronald was both an actor and an athlete throughout high school and college. His hard work earned him the title of student body president, roles in school plays and eventually a college athletic scholarship. Even in college he continued to be a standout student as he served as student council president, played football, ran track, captained the swim team (quite the over-achiever! ), and acted in school productions. 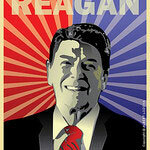 I guess its no surprise that Reagan became a successful actor, performing in more than 50 films! He must have enjoyed the title of president. Before taking office for the United States, he served as president of the Screen Actor’s Guild. Ronald Reagan holds the title of oldest president to enter office. There was no stopping Reagan during his time, not even a bullet could. 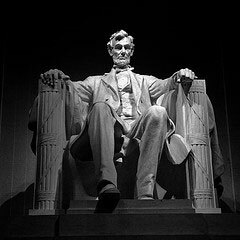 Posted in Blog, Presidential Talent Tournament and tagged Abraham Lincoln, agricultural innovation, Battle of Tippacanoe, commercial fishing, George Washington, President of the United States, Presidential History, Ronald Reagan, Screen Actor's Guild, The Gettysburg Address, U.S. forces, William Henry Harrison on January 31, 2013 by Gettysburg Battlefield Tours.